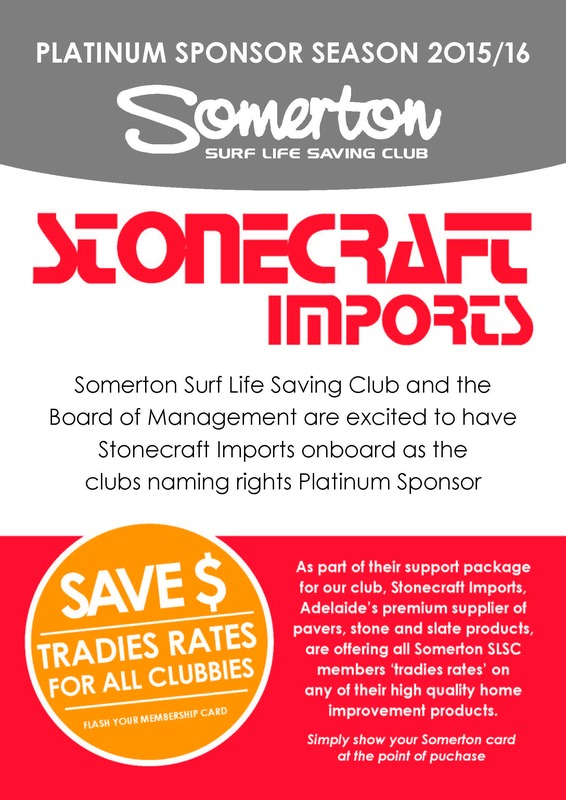 Somerton Surf Life Saving Club was founded in 1960 and has a proud and successful history in both life saving and competition. Our success is built upon strong family foundations, where each member can find something to interest them, regardless of age or ability, as well as enabling participation in a wide range of services to the club and the community. The primary focus of our club is to deliver surf life saving services to ensure the safety of the swimming and surfing public. Our patrols boast the proud record of “no lives lost between the flags” while on patrol. Somerton Surf Life Saving Club is responsible for patrolling the beach between King Street, Brighton to the south and The Broadway, Glenelg to the North, on weekend and public holiday afternoons between October and April each year. “Nippers” sessions are conducted at the beach each Saturday from 1.30pm to 4.00pm. In addition to patrols, life saving and competition, Somerton SLSC is active in youth retention through its popular SomerSquad program. This program is designed for nippers moving into the senior ranks; and is lots of fun. Check out the activities under “SomerSquad” on this site. Somerton received the “SLSSA Community Program of the Year Award” at the SLSSA Awards of Excellence Presentation in August 2015 for our Somerton SEALs program – “Special Education and Learning”. This program enables children with intellectual disabilities to experience the fun of sun and surf in a safe environment provided by our dedicated volunteers and life savers.